Coincidentally, right on the heels of my last post on John Watson’s jumpers, today is National Sweater Day in Canada. It’s also the opening day of the Winter Olympics in Sochi, Russia. There’s a lot of controversy surrounding the Olympics this year, but I think, in the spirit of international cooperation with which the Olympics began (as the legend goes), that we can all agree that Canada is pretty darn great. 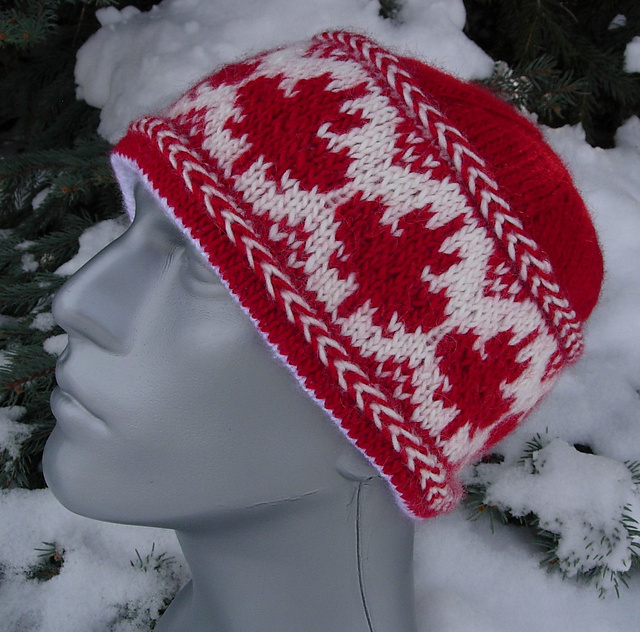 Our neighbors to the north are also big fans of knitting; if you haven’t already checked out the blog of Canada’s most popular blogger, the amazing (and supernaturally fast) Stephanie Pearl-McPhee (a.k.a. the Yarn Harlot), you’re really missing something. 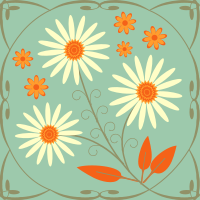 Her knitting blog has, off and on, been the most popular blog in all of Canada. Yes, a knitting blog. I kid you not. She’s a national treasure right up there with hockey and publicly-funded health care. 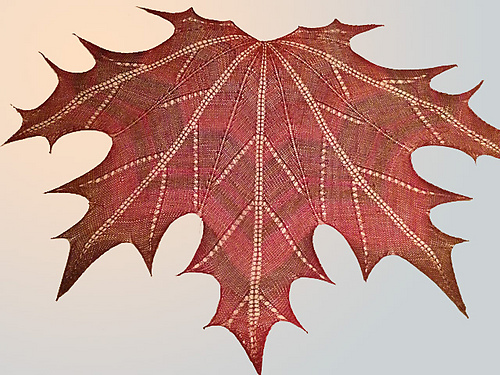 This “Maple Leaf Knit Shawl” by Natalia @ Elfmoda is gorgeous, and there’s a crochet version as well. 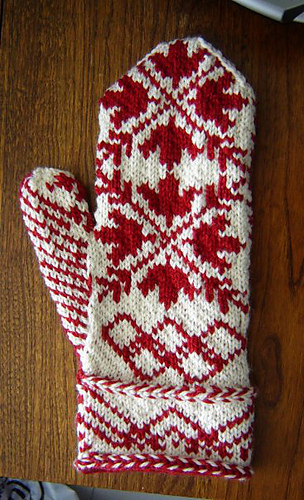 Knitty Gritty (the former Vickie Howell-hosted television show, not to be confused with the current Vickie Howell-hosted television show, Knitting Daily) also has a pattern for fingerless gloves and a slouch hat with the maple leaf design. On an only tangentially related note…. While knitting isn’t a sport (yet), this article by Katherine Martinko from Treehugger.com explains how knitting can help keep you healthy. And, finally, last week’s episode of Sherlock, “His Last Vow,” was the last of series/season three, so as part of my increasingly futile efforts to stave off withdrawal, I’ve been trolling the internet for knitting references to the episode. While an excellent episode in many ways, there weren’t any blogworthy knitting references. However, Annie Modesitt’s latest colorway in her 221B series is, like all the others, gorgeous. In this case, “Straighten Your Knocker” a blend of “Deep browns, bronze yellows, black and a hint of scarlet; all wrapped up in a rich palette that would please any gift recipient who only wants “brown” (while also satisfying the knitting partner who wants a bit more excitement! ).” The name is a reference to Mycroft Holmes’s compulsive habit of straightening the doorknocker whenever he comes to visit little brother Sherlock. Well, that’s all the knitting news for today — tomorrow, my knitting and stitching goals for the year. Previous Post Jumpers and Mary’s Maids and Sherlock, oh my!